On May 3rd Walworth Co. is joining the nation in prayer. There are many ways which churches are participating in prayer that day...but the following are 3 practical and easy ways to partner in prayer that day. 1. Prayer Breakfast- At Lake Lawn Resort- gather with others from the area and take an hour to pray. 2. Text to Pray- Text the word PRAYER to 262-435-4390. 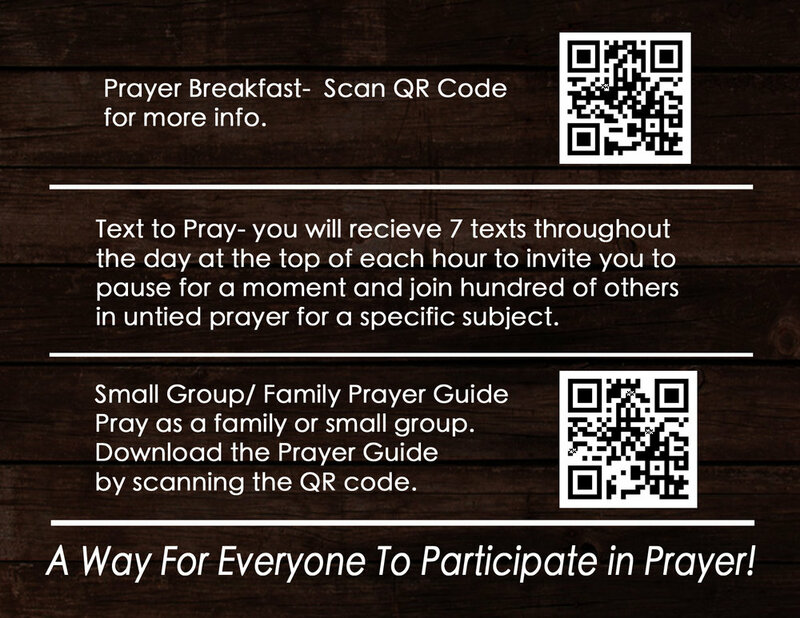 You'll receive 7 texts on May 4th starting at 8am reminding you to pause and pray for specific topics. 3. Small Group/ Family Prayer Guide- Click on the link to download a prayer guide that is designed to be used in a small group or family setting. This enables you to go at your own pace, at your desired time, and thoughtfully engage as a group in prayer.